This event is happening today! Beginner & intermediate on2 salsa & cha cha lessons taught every Sunday by 2-time World Champion Luis Aguilar at DSG Dance Studios in San Francisco. The focus of the class is on building strong social dancing technique, covering both footwork and partnerwork. Classes are aimed at a beginner/intermediate level. Dancers should come in comfortable workout clothes and dance shoes. No street shoes allowed, no exceptions. Free street parking available nearby. Luis has a spectacular sense of musicality and it even shows through in the short sequences he puts together for class. He gives plenty of guidance on tiny details that will make a big difference in your salsa dancing. Prepare to level up at this class! Yes, you will learn great shines and patterns that you can bring with you to the dance floor. But, what really sets this class apart are the fundamentals of timing, technique, and musicality that can really elevate your social dancing. Luis breaks all this down with clarity, patience, and humor. I highly recommend taking this class, especially if you want to take your dancing to the next level! Luis is a great teacher and he really pays attention to each person in the class. You’ll learn interesting shines and turn patterns that you can incorporate into your social dancing and I guarantee your timing and musicality will improve as well! Luis’ class was challenging and fun. I worked up quite a sweat learning the choreography. I also picked up some great tips from Luis during partner work. I’m not a seasoned dancer, more like a beginner, but was still able to keep up. Recommended! Luis (& Holly) are fantastic dancers. I love how his classes just take you as you are and he’s super friendly. Intimate class and he guides you rather than makes you feel crappy (haha). First half is solo stuff, simple for a few minutes > styling concepts, second half is partnered up. You’ll learn things that aren’t only valuable in salsa, but dancing in general. If you practice the stuff he teaches, you’ll be a true salsero / salsera. Highly recommend this class! Great for all levels. I highly recommend this class if you’re looking to take your dancing to the next level, no matter what level you are at currently. 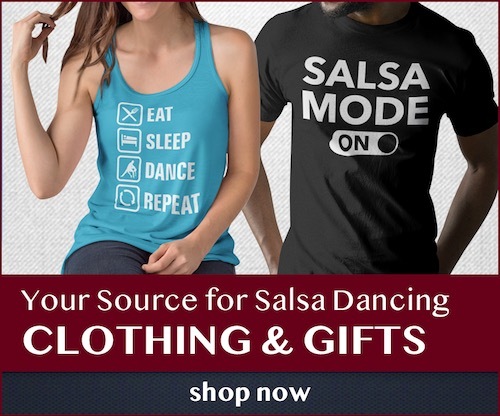 Luis is the best at breaking down salsa fundamentals including technique, body movement, timing, and musicality. During each of his classes, you get to build your “vocabulary” of salsa technique and patterns to apply to social dancing. I started as a complete beginner a year ago and have really improved my social dancing by taking his classes. Holly also assists Luis during the class and she can give some great styling tips for the ladies. Luis Aguilars’ class is excellent. One wouldn’t expect such an accomplished dancer to be so patient, attentive, and supportive. He shows each student, no matter his or her level, respect and genuine concern for their development. You can sense he cares about raising the quality of salsa dancing in the Bay Area and beyond. I just wish he had classes more often.